Before Shot Of Custom Raiders Helmet. Heavily Damaged. When refurbishing helmets you will more than likely come across a shell that is heavily damaged, with scratches and deep nicks or even cracks. Don’t despair, though because these things can be repaired. One such helmet i had was one of my earliest projects, a Oakland Raiders helmet. I bought this white VSR4 on eBay, but when I received it, I saw how damaged it really was. The shell was covered in nicks and deep scratches. If I were to just paint over them, they would surely be visible. Now if you are going for a game used look, then it might not be so bad to have a few scratches, but if you want a smooth surface to paint, you will need to take care of it. Bondo Glazing and Fill Putty will make your damaged helmet smooth again. If there isn’t major damage to the shell, like full blown cracks and serious dents, you can make any shell smooth with a little Bondo Glazing and Spot putty. This stuff will fill in the scratches and dents as well as any hairline cracks. It is also fairly easy to use. With the putty I filled as many of the scratches and nicks as I could. Once the putty drys I wet sand with a medium grit sandpaper. At this point you want to make sure not to use a high grit sandpaper or too much pressure or you may remove all of the putty. The goal is to smooth out all of the putty When sanding use your finger and glide across the fill to make sure it is even with the shell. If there are any raised spots, it will be visible when you paint and that is just not good. Once you have sufficiently smoothed out the shell you can apply another coat of primer and then apply the color coat. This should give you a way better looking helmet overall. Back in the 80s and early 90s it seemed like every player had a poster. These were not ordinary posters, but instead were a play on the players name or team. Lots of them were violent and had the look of an action movie. They all were pretty amusing and some players had better ones then others. I think the Thurmanator ant Moonlighting posters are two of my favorites. 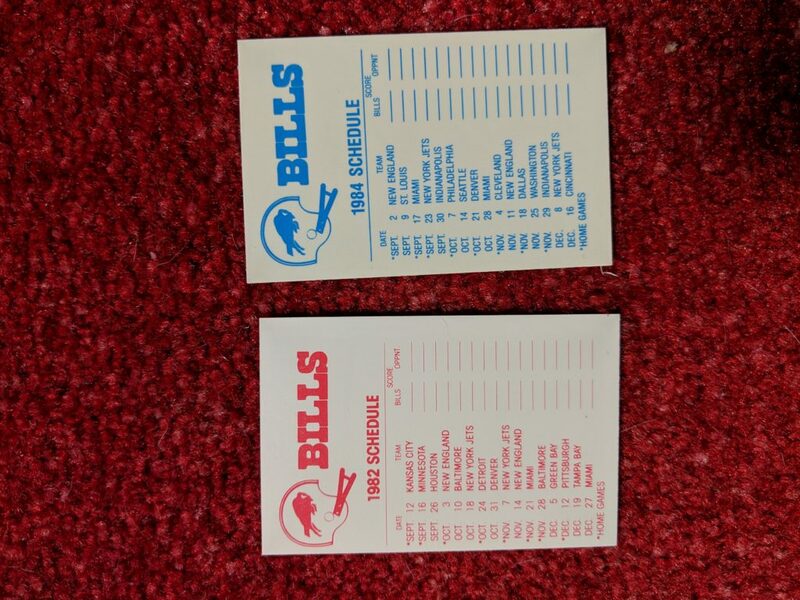 I found these two Bills 1982 and 1984 schedule stickers on eBay. I love these little inexpensive, but cool items. The only issue I have with them is how to display them. I would like to display both sides, so a frame won’t really work. I’ll have to figure something else out. 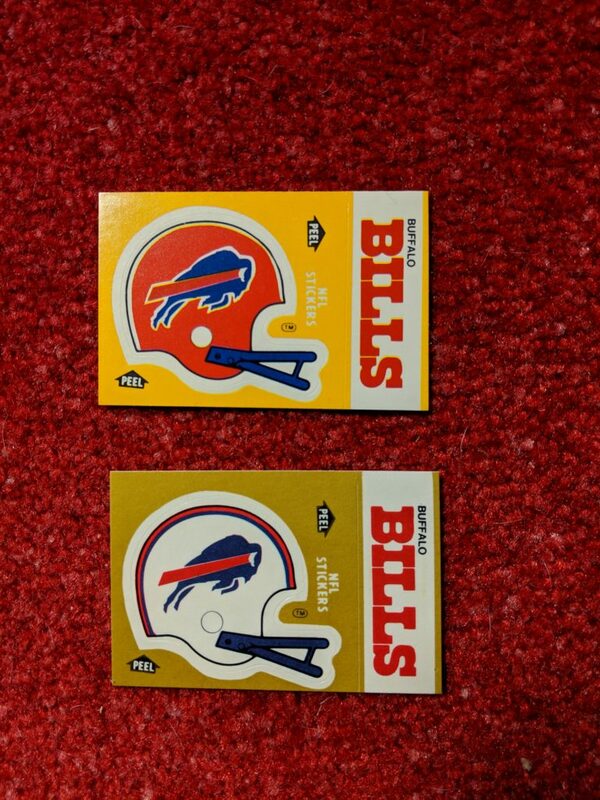 Neither of these seasons were memorable for the Bills. The 1982 schedule is not accurate, because only nine games were played with a 57 day player strike in the middle of the season. Then 1984 was a two win season that would lead to first 1985 overall draft pick Bruce Smith. When I was looking through the unopened packs of cards at the flea market I stumbled upon this one pack of Back To the Future Part II trading cards. The Back To The Future movies, especially I and II are my favorite movies of all-time. This was an exciting find. I think I will frame and display them next to my 2015 Back To The Future 30th Anniversary News Paper. One of the best helmets in the USFL. The Panthers were 1983 USFL champions. 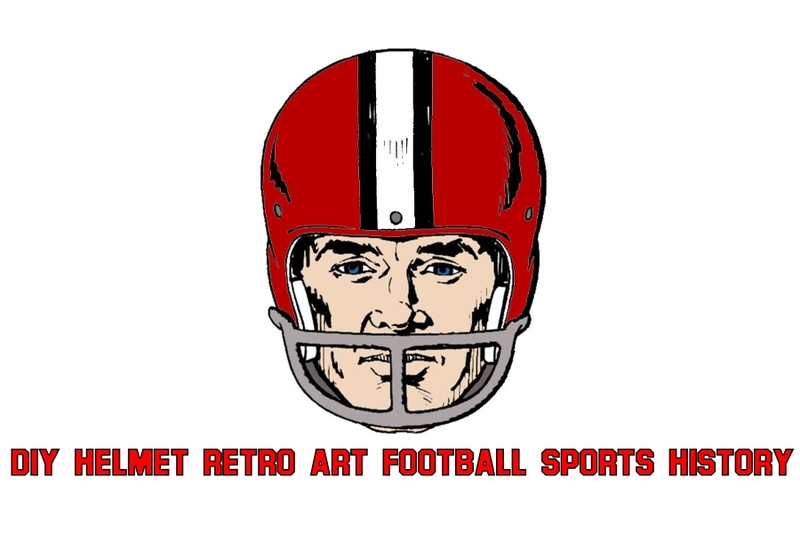 They played in the league in 1983 and 1984 before merging with the Oakland Invaders, where they would make it to the Championship and final USFL game ever.